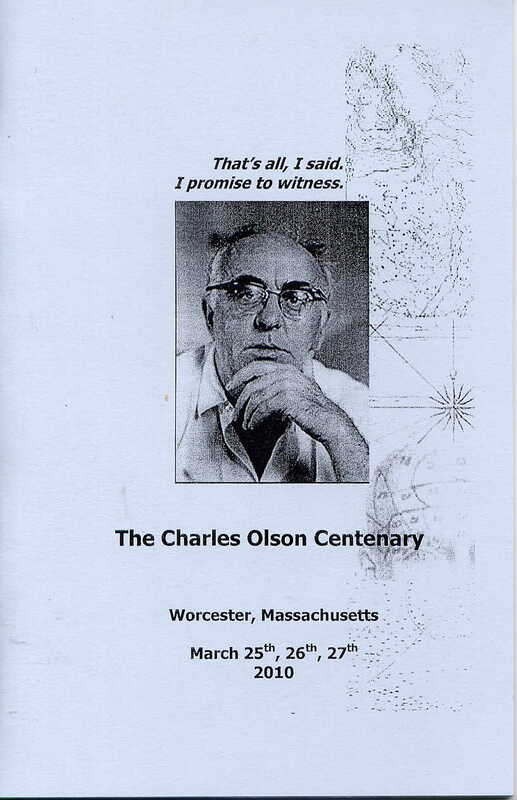 This weekend the Worcester County Poetry Association celebrated the centennial year of Charles Olson (link). Though associated with the nearby city of Gloucester — the central location of The Maximus Poems — Olson was born and raised in Worcester. His relationship to the city was the subject of one of the weekend’s first presentations, by Jim Fay (an alumnus of the University of Maine English Department). There were several other participants with UM or NPF connections, including Ammiel Alcalay, Pierre Joris, and Anne Waldman (who have all read in the New Writing Series); Don Byrd, Richard Owens, and Donald Wellman (NPF authors and/or conferences attendees); and Carla Billitteri, a member of the NPF editorial collective and UM professor of English. 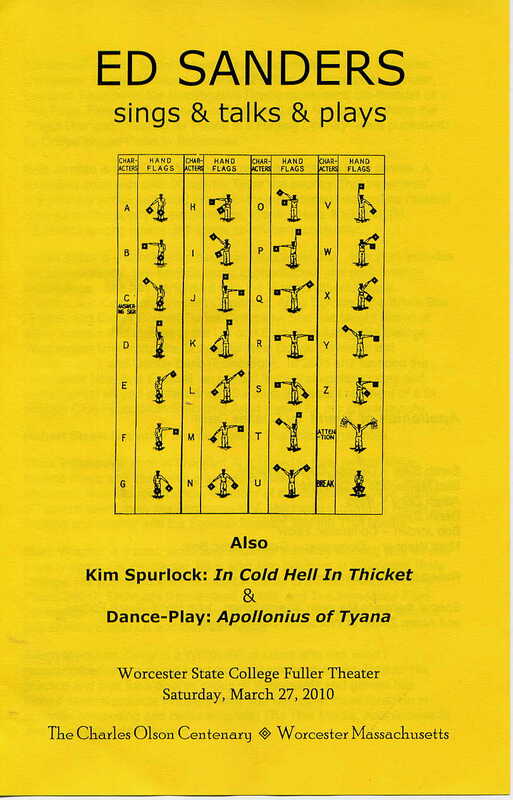 The last day ended with a film by Kim Spurlock of Olson’s In Cold Hell, in Thicket, a staging by Sarah Slifer of Olson’s dance Apollonius of Tyana, and a reading by Ed Sanders, one of the best of his I’ve ever heard. In addition to poems and reminiscences of Olson, Sanders read and sang — in English and Greek — a newly discovered poem by Sappho. He also performed his updated “Bartleby the Scrivener” (a recording of which is available on Be Free: The Fugs Final CD Part 2). There will be another celebration of Olson’s Centennial in June, at Simon Fraser University in Vancouver (link). The actual birthday will come at the end of the year, on December 27th. This entry was posted in Everything Else and tagged Charles Olson, Ed Sanders, Olson, Sanders. Bookmark the permalink.